This statistic shows the revenue of Bayer CropScience from 2005 to 2018. Bayer CropScience is a subgroup of the Bayer AG and produces products for crop protection and nonagricultural pest control. It is also active in seeds and plant traits. 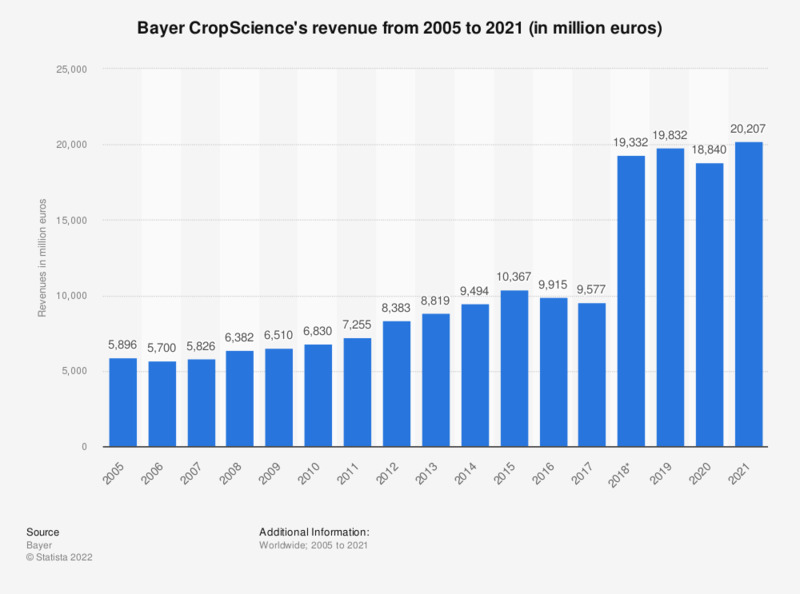 In 2005, Bayer CropScience generated around 5.9 billion euros of revenue. In 2016, the revenue of Bayer CropScience stood at almost ten billion euros.